Teaching your quarterbacks techniques for ball security is something that you want to include in your daily practice plan. In today’s video blog post, we are demonstrating an excellent ball security drill called the “Hold The Runner” drill. 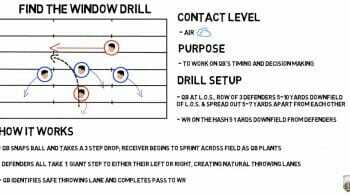 This drill does 2 things: it emphasize good forward body lean and protection of the football and it also allows for a quarterback to understand that defensive players are going to try to strip or rip or knock the ball away from him as he is running it. So the quarterback has to make sure that there is always ball security. 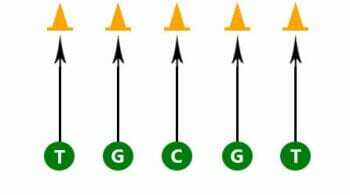 We coach the football to be carried with the front end points covered up against the forearm, snug under the body, sliding easily as we run with power. We always have to have forward body lean so that we can finish off a run and we must always anticipate someone coming to strip the ball from us as a last resort to cause a turnover – even when we don’t have contact with anyone around us. Anticipating the opponent is key! For more great ball security drill ideas, tips, and techniques, be sure to Become a Fan on Facebook! You can also Follow Me on Twitter and Hangout with Us on Google+!